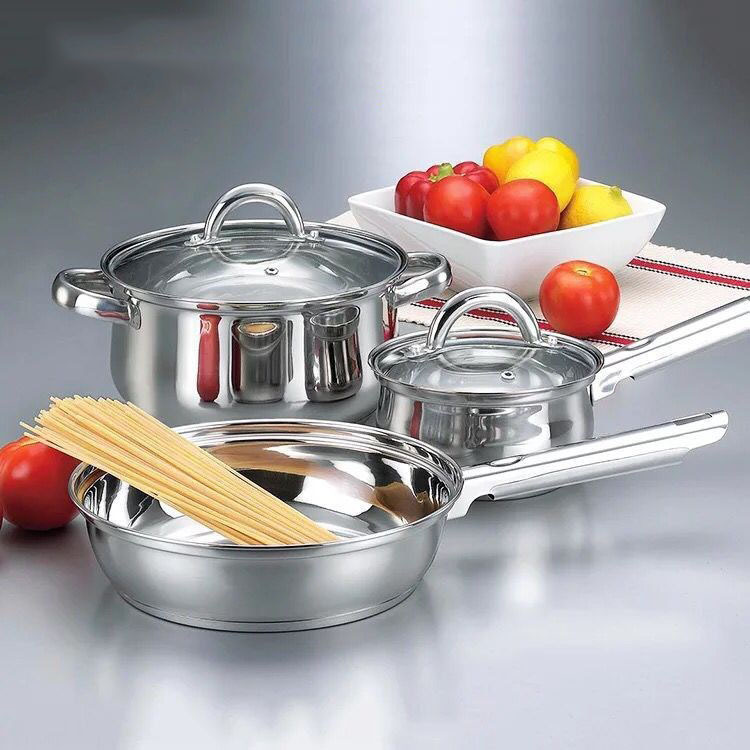 3-Piece Set includes Sauce Pan, Frying Pan and Stew Pot. Material is thick, sturdy and durable. Stainless Steel interior very easy to clean. 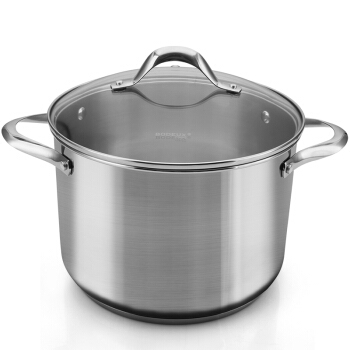 The handles and the pot body are tightly jointed. Durable Handles to give a firm and steady grip. Handles are hollow and heat insulated. Compatible on gas, electric, halogen and ceramic hobs and induction. Efficient heat distribution reduces the risk of food burning and sticking. 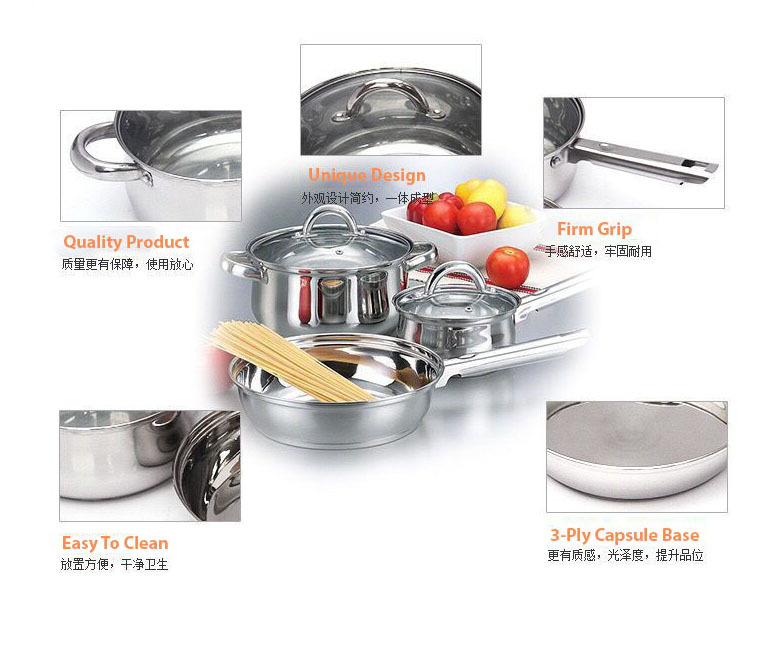 Glass Lid included can protect the food from contamination. 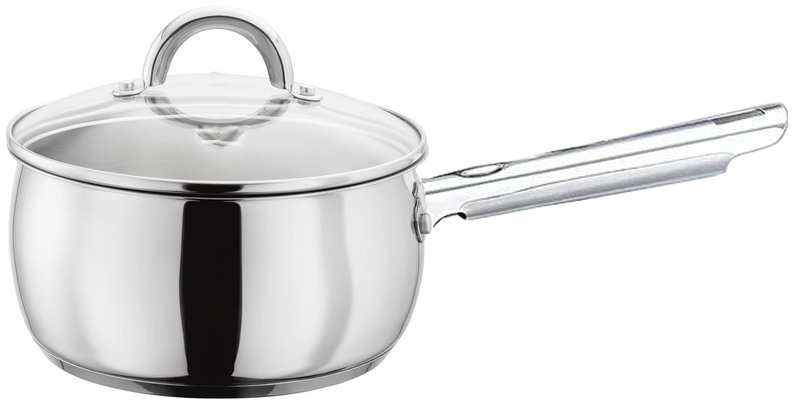 The glass lid allows you to monitor the contents of the pot during the cooking process without the need of extra heat loss. Using the lid brings the contents of the pot to a boil faster, so you can save time and energy while lowering the impact on the environment. 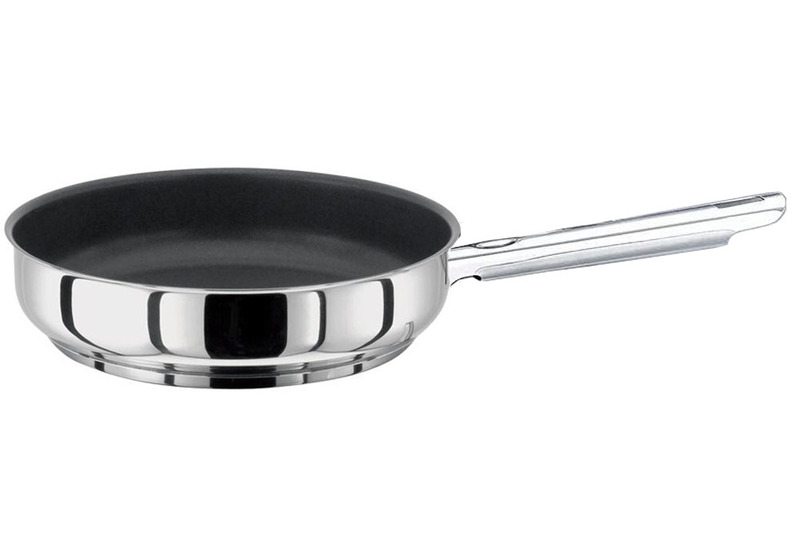 Steam vent on the lid reduces pressure so that food does not easily boil over. Due to the different display and different light, the picture may not reflect the actual colour of the item.